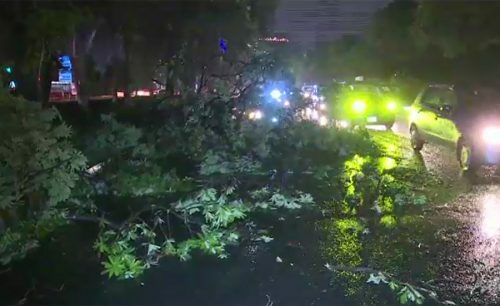 LAHORE (92 News) – Several people were injured in different incidents during the rain and windstorm across the country on Tuesday. Power supply was suspended in several cities, including Rawalpindi, Islamabad, Murree and Sialkot, due to falling of trees, hoardings and walls. In Lahore, over 70 feeders tripped due to the rain and windstorm, causing severe loadshedding. Six people were injured when the roof of a house collapsed in Ghaziabad. In Shalimar area, a man was buried under the debris of a wall that collapsed during the windstorm. In another incident, a cargo trolley hit two PIA airplanes which were later grounded. Two people were injured when a tree fell on a car on Canal Road. In Depalpur, crop over dozens of acres were burnt when it caught fire during the windstorm.